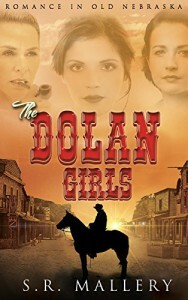 R. Mallery’s historical western, The Dolan Girls, gives us a colourful view of America’s wild west of the 1800’s. It was a time when cowboys and bandits were free to roam the countryside, women slept with a gun at a moment’s reach, and everyone lived by the motto ‘expect the unexpected’. Brothels and saloons were a necessary fixture in the unchartered towns, and Buffalo Bill and Annie Oakley revered icons. The characters are endearing—Minnie being my favourite—and the action is fast paced. This is a highly enjoyable read. Looking forward to more from this talented writer.